Let’s take a moment to remember Chovy’s now fallen 104 KDA. 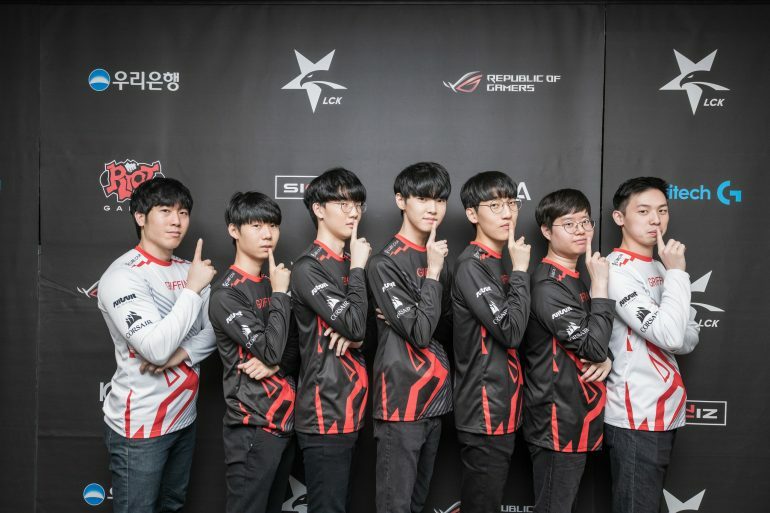 It was a bittersweet moment for Griffin fans as they watched mid laner Jeong “Chovy” Ji-hoon’s deathless streak come to an end when Griffin took down fellow first-place team SANDBOX Gaming in their first three-game match of the 2019 LCK season. Contrary to what he said, though, Chovy’s play tonight looked anything but uncomfortable. Despite dying twice over the course of the night, Chovy found multiple solo kills onto SANDBOX mid laner Kim “Dove” Jae-yeon, taking over game one as Akali with an MVP performance. SANDBOX were no slouches, though, becoming the first team to take a game off of a Griffin in 2019. How did SANDBOX accomplish what has become such a daunting task? The answer comes down to one champion—Akali. After taking Akali away from Chovy in game two, SANDBOX top laner Park “Summit” Woo-tae had the time of his life splitpushing as the rogue assassin. Summit gained a lead thanks to a few well-played teamfights on the side of SANDBOX and easily overpowered Griffin top laner Choi “Sword” Sung-won’s Sion, splitpushing all the way to Griffin’s inhibitors. Griffin immediately took back the reins in game three, though. Griffin jungler Lee “Tarzan” Seung-yong made sure to keep Summit down with constant pressure and ganks. SANDBOX were unable to find those favorable game two teamfights at match point and slowly collapsed, becoming yet another victim recorded in Griffin’s match history. Griffin and the rest of the league will now have a nine-day break in celebration of the Korean New Year. But when Griffin make their Feb. 15 return, they’ll face the team that ended their 2018 summer royal road in the LCK finals—KT Rolster. “If I can get rid of that memory, it will be okay,” Griffin AD carry Park “Viper” Do-hyeon said about his upcoming match against KT.